Looking for more information about the river trips you are planning? The following whitewater rafting books provide detailed information including history, river maps, permits and mile-by-mile river descriptions. From the Oregon border to the Southern tip of the Sierra Nevada mountains, there are over 100 navigable rivers to explore. 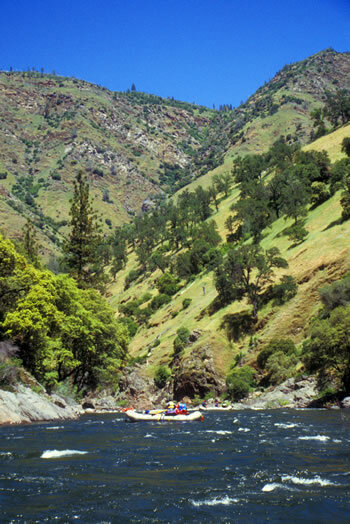 Find detailed information for California whitewater rafting trips. Idaho rivers offer exciting rapids, amazing scenery and cultural history. Learn more about the history that lives through the remnants left by those who traveled the canyons for centuries. From family float trips to adrenaline packed Class V action, explore the river trips of Colorado with these exceptional guidebooks. Multi-day river trips in Utah allow for time to explore all the canyons have to offer. Guide books are essential in making sure you don’t miss a thing on your Utah whitewater rafting adventure. The Cascade Mountains run through the Pacific Northwest offering rivers that run down it lush valleys. Read more about the rivers of this region. Read about the best whitewater rafting rivers in the Washington and the Pacific Northwest. New England offers a wide range of whitewater rivers. Learn all you need to know for deciding which river trip is right for you. The Southern Appalachians provide Tennessee, Georgia and North Carolina with plenty of whitewater rafting action. Read detailed descriptions of these river trips. For those who travel internationally, this book details the pre-eminent rivers of the world.